After the destructive cigarette epidemic of the twentieth century, times are changing. Since we now know with conclusive evidence that smoking cigarettes causes a wide variety of lung diseases, along with other complications, many users are looking for new, safer alternatives. Thus, in the early 2000s, a new technology known as vaping came to life. Purported as a safer, carcinogen-free, and nearly harmless alternative to smoking, vaping quickly grew immensely popular. However, recent studies show it may not be as harmless as many think. After talking to many young vapers, toxicologist Irfan Rahman found a common trend — some complained about their mouths and throats bleeding. These bloody sores took a long time to heal as well, as evidently something in the vapes were damaging the mouth cells. 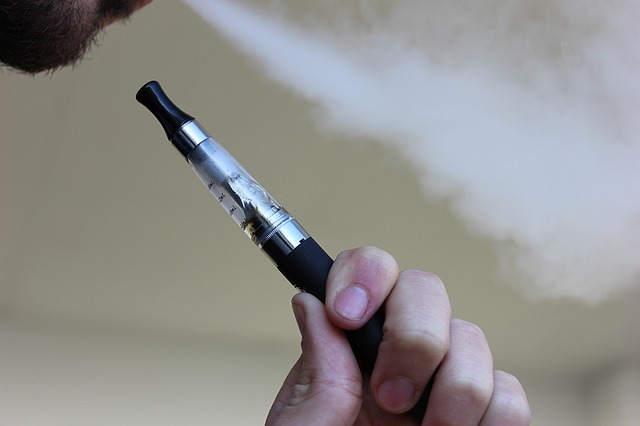 His team found that the vapors inhaled from a vape inflame mouth cells, which can potentially promote gum disease and destroy the tissue holding the teeth in place. The same toxic chemicals in the vapor that cause these mouth sores also are entering the lungs, causing damage there as well. Very recent studies have shown that the vapors mess with lung immunity, causing issues like “smoker’s cough.” There is a direct correlation between the temperature the vape liquid is vaped at and the negative effect on the lungs. In other words, the hotter a vape is, the more detrimental it is to the cells. Furthermore, some studies are showing that vape liquids contain cancer-causing chemicals. The cells in our bodies are constantly battered by foreign substances — infection, injury, and more. However, our immune system has special cells that allow the body to heal itself, reducing the actual risk of complications. These cells are known as fibroblasts, and help repair damaged tissue. Fibroblasts take a lot of energy to work, and are powered by cells called mitochondria. Rahman closely replicated this phenomenon in Petri dishes, but found that when exposed to vapor, some of the mitochondria were killed off. Thus, the replicated wound was unable to successfully heal as it normally would. In order for a vape to heat up the flavored liquid that becomes a vapor, it needs to get very hot. This is achieved by the use of a metal coil that heats up, in turn heating up the vapor. This is problematic as these liquids often contain chemicals that become harmful after being heated. Chemicals found include formaldehyde and acetaldehyde, which have been shown to even cause cancer. If this is the case, vapers affected may be eligible to collect damages, by contacting a personal injury attorney. If you or a loved one frequently vapes, or has recently picked up this habit, it is important to take action. Although studies are not entirely conclusive yet, they all point to some form of danger. There is no need to take an unnecessary risk, especially for those who aren’t using it to wean off of smoking. Reach out to an appropriate addiction group or hotline for further resources. What Is A Birth Injury And Why Should The Hospital Be Held Responsible?